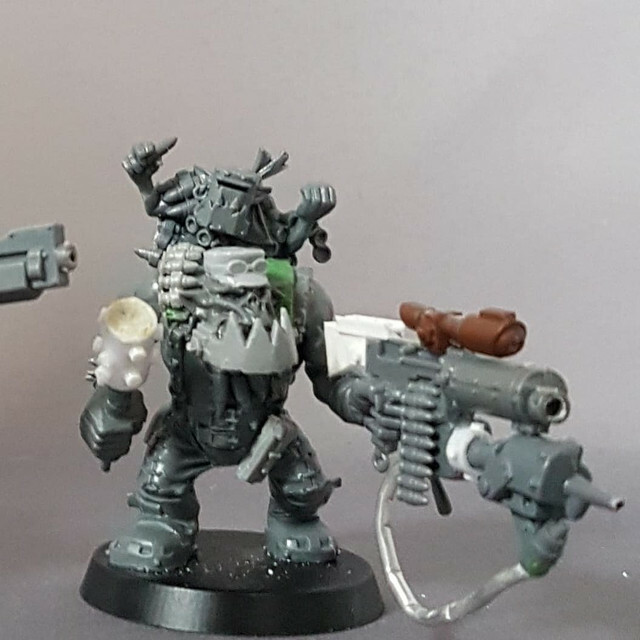 Im about to buy some plasticard, i want to personalize my biker mob with some armor-additions, what thickness plasticard should i get and, are there any tips you guys got for a novice? 1mm is the basic all-aroud thickness for me - thin enough to cut and shape easily, but sturdy enough to scratchbuild tanks from. I also have some 0,5mm amd 0,25mm for gyphs, checks & dags and other detail work.The GW ork shoulder-guards are 1.5 - 2mm, so you might like get a sheet of that thickness, too - though that is hard to bend to shape. 3. When dry, cut to shape and you have a curved shouder armor bit of 1,5mm thickness. You can also cut a longer strip of desired wideness, long enough to go thrice around your pen and make a ring-shaped thing to get three pieces of shoulder guard. This way you can also make things like barrels, turrets, exhoust bits and big gunbarrels using even thinner, 0,25mm 'card. cut a plate to size, firmly press a biro point into the card where you want to add rivets. Flip it over and you've got some Braille style dinky rivets. If you want bigger rivets use a larger headed tool to emboss. You can apply these directly to a model for thinner tin plate style armour or stick them to a thicker sheet of card, cut them out and ding up the edges for more 'eavy duty plates. If you're uk based https://www.stationr...art_plastic.htm do a pack of 12 sheets for less than £10. Should keep you going for a while. I like to get the odds & ends bag there's sheet, tube, rod strip etc. So, the basics have been covered already, i prefer a mix of 0.8mm and 1mm for my armour work, i also use 0.5mm and 1.2mm in small quantities for banding and heavy mounting plates respectively. Embossed diamond and crinkly tin add character and detail without much effort and i use 0.5 - 0.8 mm rod for rivots. Other than that i'd say build like an ork, rivot large sheets together then use bands to support, make sure your rivots line up if the front and back or the plate can be seen and don't give up until the rivots are in - they always add a huge amount of character to a build. 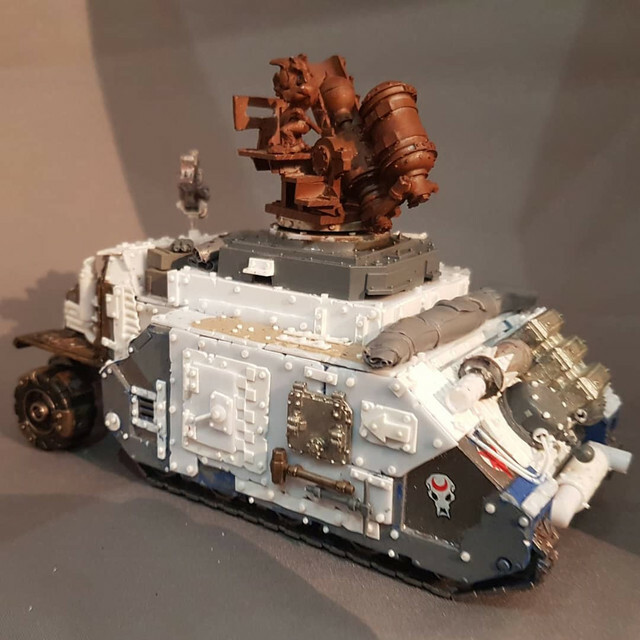 I actually use cardboard/corrugated carton soaked in CA glue as substitute for thin plasticard (check out my Scrapjet and Dragsta topics, link in description), HDF for sturdier stuff and some scrap 5mm plastic sheets as structural material. Also old ribbon cables from floppy drives and old hard drives (20 and 40 something wires). Yeah, 90% of my materials are frugal reclaimed scrap LOOTED.